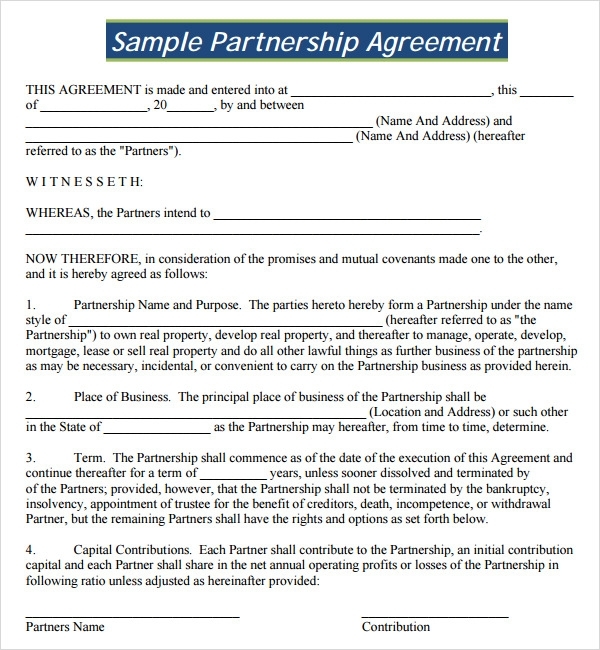 A partnership agreement is an important foundational document between two or more parties who desire to enter upon a business agreement. 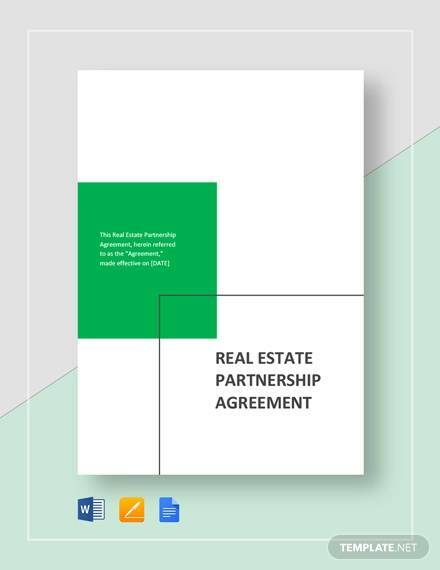 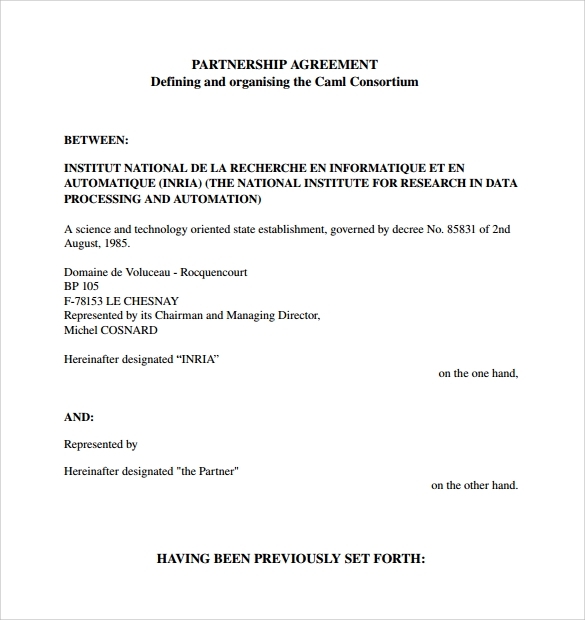 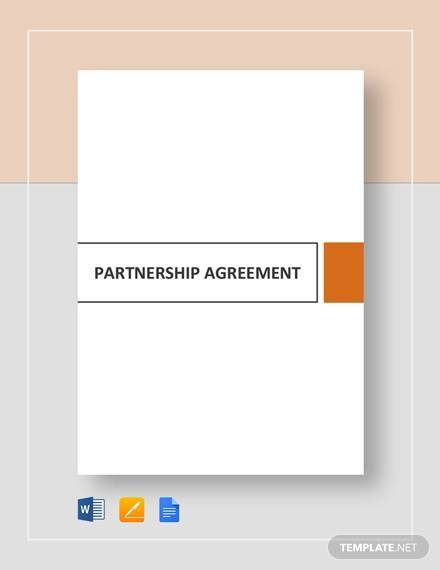 A good sample partnership Rental Agreement Template keeps in mind all the points necessary for smooth execution of the partnership projects in the future. 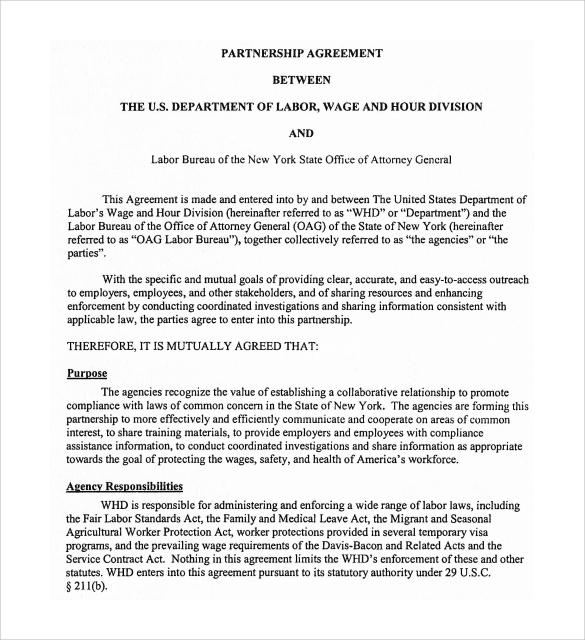 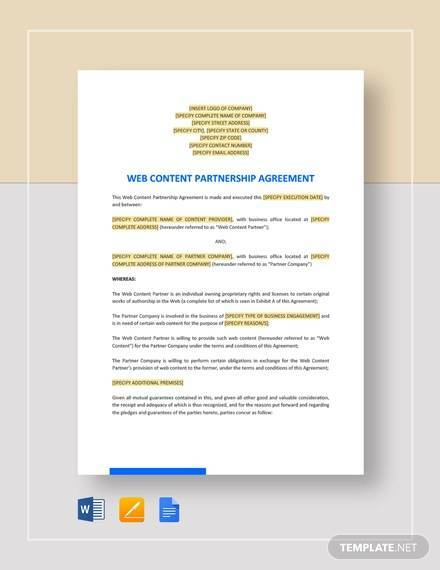 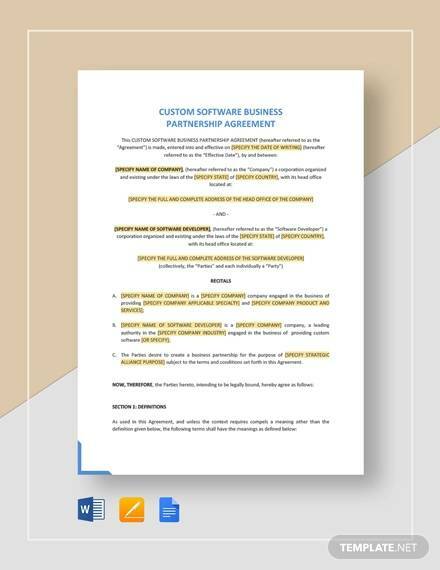 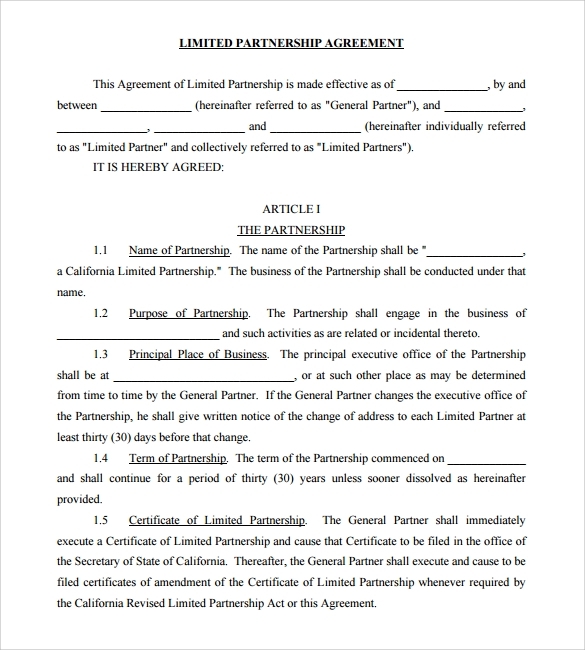 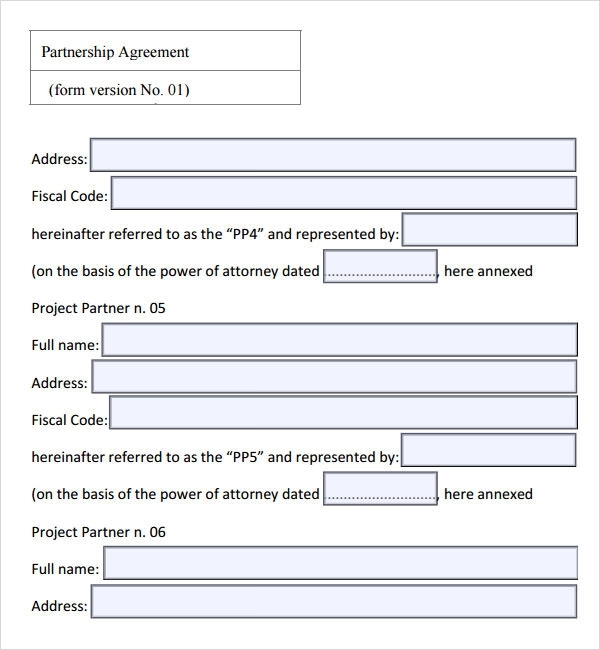 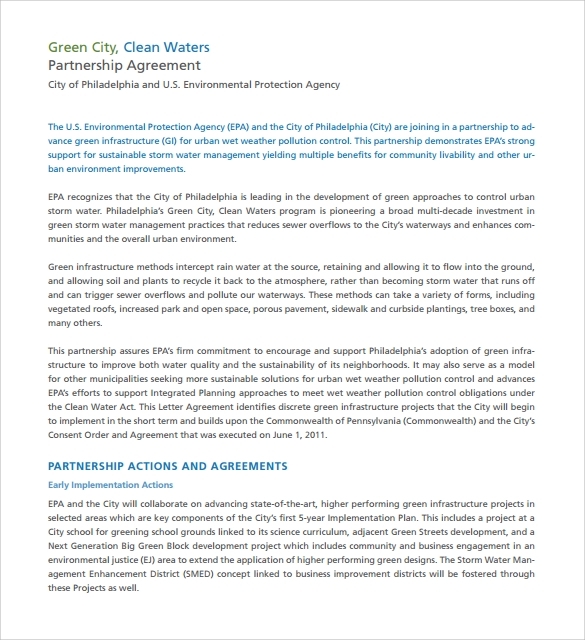 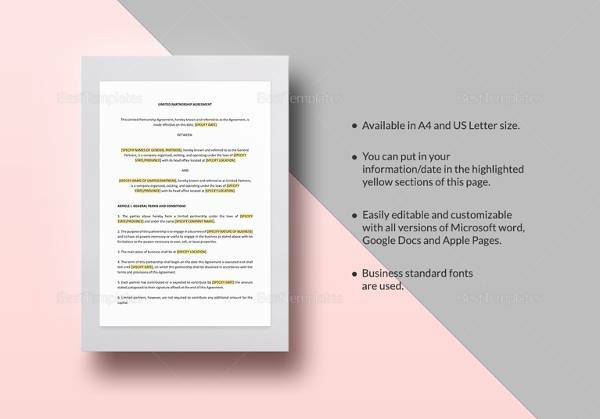 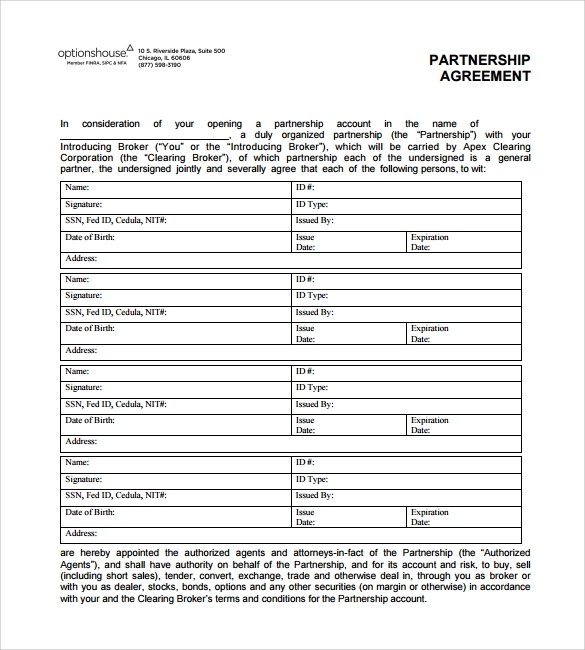 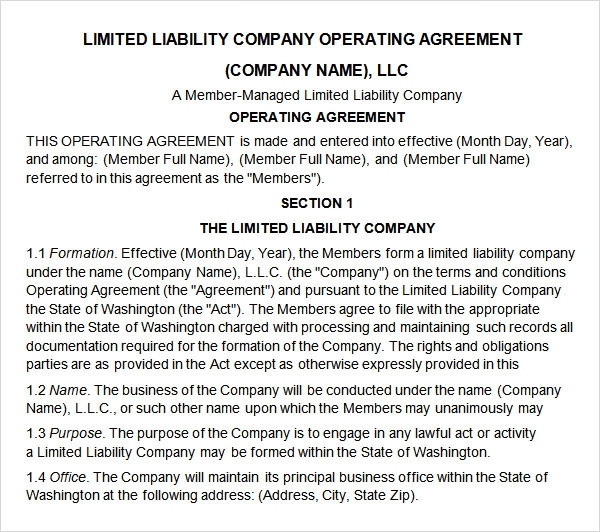 Free templates of partnership agreements that can be easily downloaded for popular formats like Word and Excel that detail the decided capital contribution of each party to the business venture. 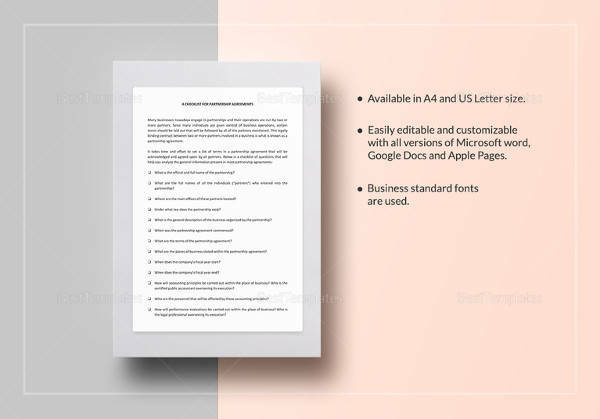 These templates also have provision to detail the expected monetary returns from the business and the sharing of the profits between the concerned parties. 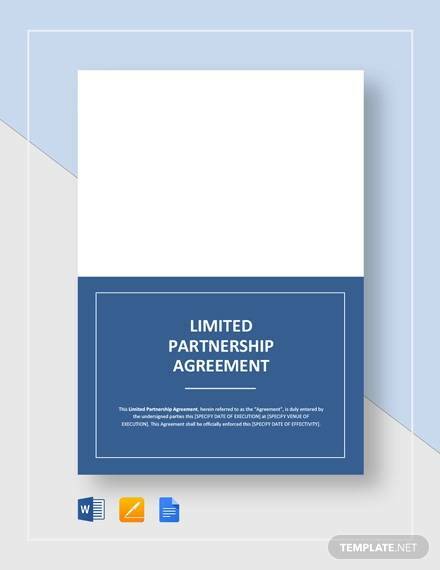 How the investment Profits and Loss Templates are allocated to each party will be affected also by business expenses such as salaries of employees or third party elements. 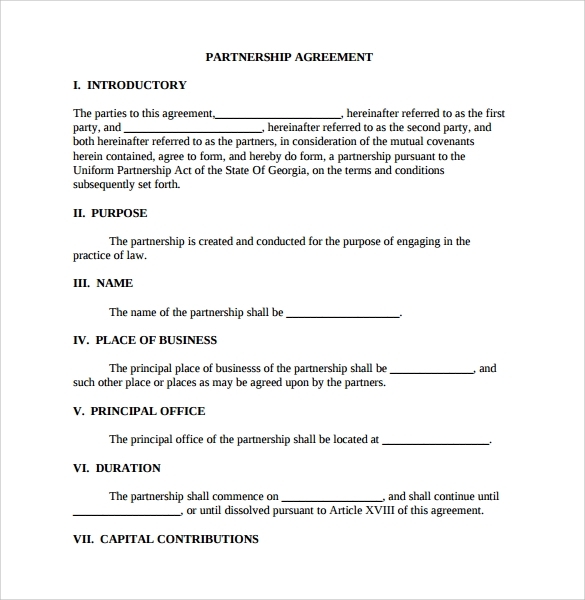 These are also detailed in the agreement. 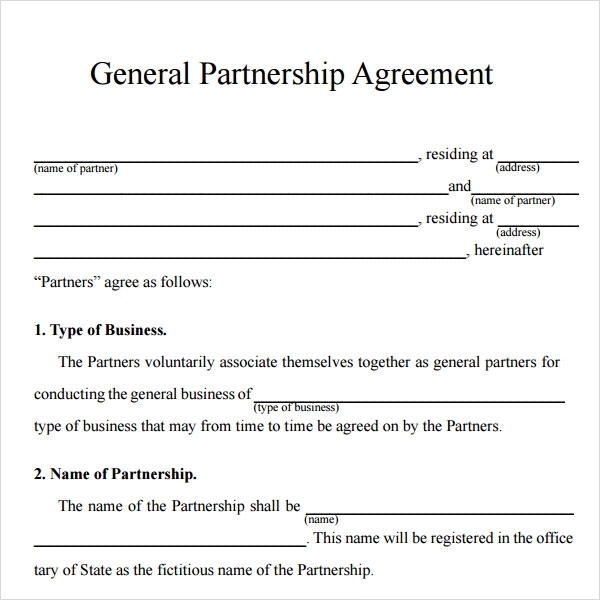 As in theatre, in business too, the show must go on. 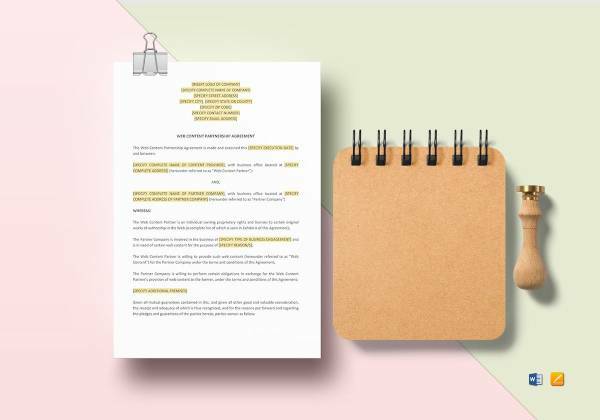 Insurance wills and claims must be taken into account in the agreement to detail what happens in case of an unprecedented tragedy that might befall one party to make sure the enterprise remains running. 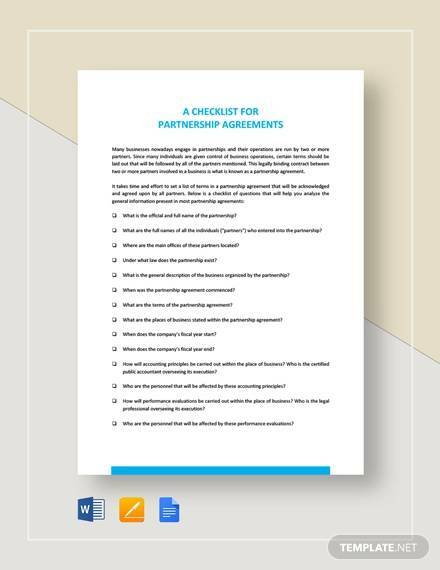 Powers of majority or veto in decision making bodies have to be clearly detailed in an agreement. 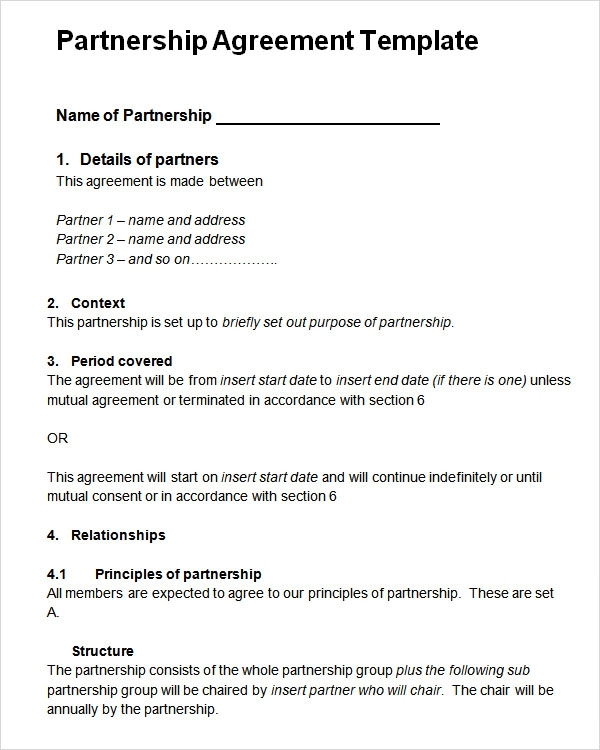 Whether decisions always have to be unanimous or special privileges are granted to specific parties are mentioned in these templates. 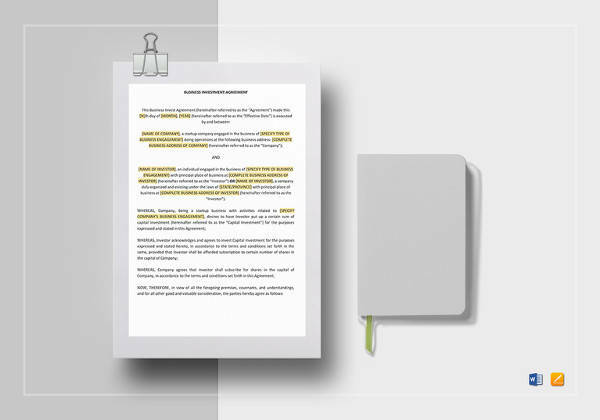 Terms of dissolution is an unpleasant topic to discuss but must be included in the agreement. 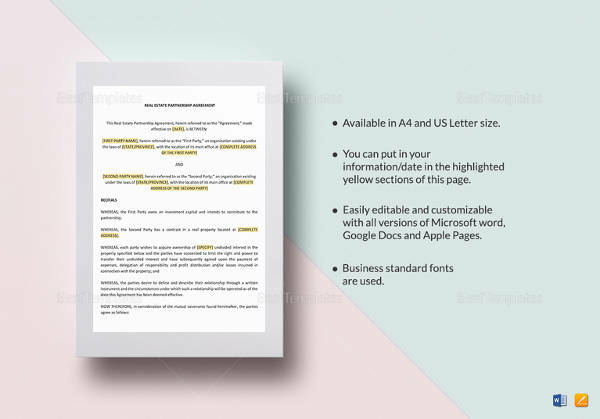 Detailed templates mentioning the same can save you the unpleasantness and get this job done.